A phenomenal, full-coverage foundation, BECCA’s Ultimate Coverage Complexion Crème unifies skin tone, blurs imperfections and camouflages redness without suffocating your skin. Virtually weightless, the formula has been painstakingly developed to strike the perfect balance between coverage and breathability; with 21 percent pure pigment and 22 percent water, this melts into skin and blends seamlessly for a natural, airbrushed effect. Available in a spectrum of colours, the creamy fluid is suitable for all skin types (even oily and congested) – just buff over skin after primer, or BECCA’s Shimmering Skin Perfector to achieve an enviable, youthful dewiness. Long-wearing and transfer-resistant, extensive trials have shown that this 24-hour foundation maintains moisture levels and ensures skin looks flawless from morning 'til night. 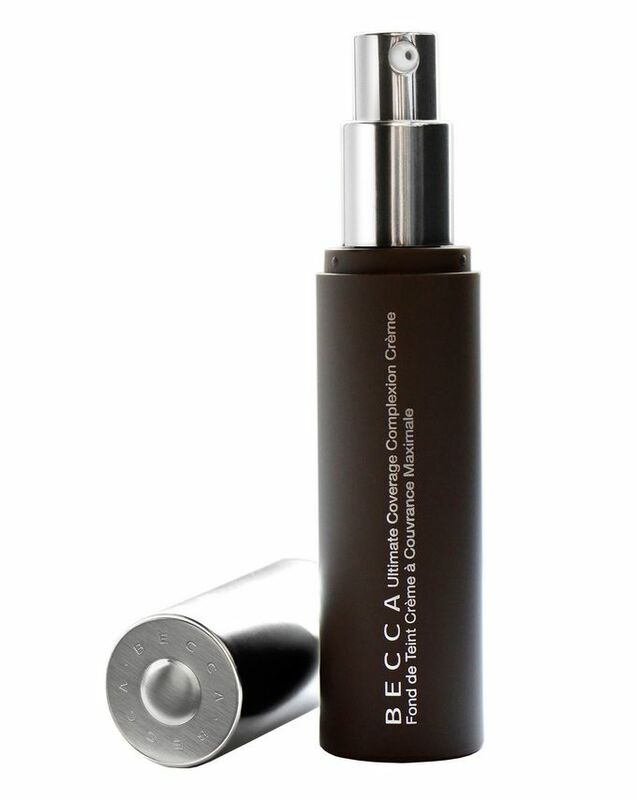 Providing medium to full coverage, Becca’s buildable, Ultimate Coverage Complexion Crème provides virtually undetectable skin enhancement – eliminating flaws for a beautifully believable, ‘your skin but better’ effect. Creators of exquisite, high-performance make up formulations – with blendable textures and wearable shades – BECCA is synonymous with effortless enhancement. Multi-award-winning, the rich pigments, soft hues and weightless coverage make it easy to achieve an enviable, airbrushed finish – so you look naturally luminous (and absolutely flawless). With emphasis placed firmly on creating the perfect canvas, BECCA’s primers, illuminators and foundations blur together seamlessly, to help you get a gorgeous glow. One Pump to Perfection: Because this formula is so highly concentrated, you only need a fraction of the amount you would use with traditional foundations. I bought this foundation expecting it to be long lasting on my oily skin, but I've never managed to even apply it nicely. The moment I apply it, it turns into a patchy mess. Comfortable wear full coverage! Perfectly transfer-proof, masks imperfections well. I’m extremely glad about the result of its application on my skin. For how expensive this foundation is I was half expecting it to work well, it's very thick, cakey and makes your skin look dry and cracked, I have oily acne prone skin and after prepping my skin this just looked horrible after my powder, even before setting it just looked like paint and so dull. Yes the coverage is good but that's the only thing about it, other then that it's horrible. Don't waste your money. First, this has always been a good foundation. It is medium to high coverage and, to me, water resistant. My previous issue was the lack of shades. Since the launch of more shades e.g. maple, this is my new favourite foundation. I am happy with the results. Love this foundation and the coverage is amazing. I am a cosmetics lover and I literally have more than 20 foundations from all high-end labels. But this foundation is THE BEST! I have rosacea and it covers everything without my skin looking like a mask! My shade is Noisette and I have just bought Cashmere and Driftwood as well. Thank you, BECCA! I really like this foundation, I have very oily skin and this sits perfectly and pretty much last all day, I just wish there were more shades as the two palest shades are either too yellow or too pink. I brought this when I was on holiday hoping for it to be able to blend out nicely and evenly whilst cover redness. It is VERY full coverage but so hard to blend out and very thick on the skin. Whenever I add any other product on top of the foundation, the foundation underneath just disappears, really don't like it. This might be the best foundation I've ever used. This makes my skin look so good and even. It's full coverage as it claims to be, but not at all cakey. I use this with beayty blender, I think it's best with it. I ordered too dark shade for me but I started to use a bit of self tanner so problem solved. Pros: The fullest coverage foundation I have ever tried, only needed 1 pump to do my whole face, hardly ever needed to use concealer, lasted reasonably well on my t-zone. Con: Felt heavy on the skin, emphasised texture on skin, didn't really dry down or set even with powder so transferred really easy, swatches online and own experience shows that most shades are warm toned so struggled to get a match. I have combination skin, my t-zone is pretty oily and my jaw and neck is very dry so I guess I can speak for both skin types. I didn't like this foundation, the texture is pretty thick which isn't an issue for me normally, but i found that the texture just felt slightly uncomfortable on my face and never fully dried down. The coverage is full but not as much as the Marc Jacobs Remacable foundation which is 100% better than this. I tried both a brush and a beauty blender with this and both work ok to blend this foundation. I found the foundation didn't last as well as anticipated, it started to ware away on dry areas after about 4 hours even with moisturiser and primer. It doesn't do that much to prevent oil but it wasn't awful. I will not re purchase and I doubt I will ever finish the bottle but if you have normal skin it will probably work better. I purchased this product as many youtubers with acne skin were raving about it. It has not disappointed me so far; it covers my severe cystic acne well and on top of that, gives me a luminous glow which is something I have not comes by with full coverage foundations. It's also a bonus that this product doesn't contain any 'nasties' so it really is a win-win for people who want a great foundation to cover their skin problems, without aggravating it further. My order arrived today, I am so happy as the Becca base is wonderful. The cashmere color is beautiful, thank you for the excellent customer service Cult Beauty! I found that this foundation is best applied with a beauty blender or some kind of sponge because as this foundation is a thicker formula and creamier in texture in comparison to a foundation that doesn't provide as much coverage, a brush leaves streaks in the foundation whereas a sponge gives the natural finish that is claimed in the description. This foundation provides the best coverage that I've ever come across whilst feeling lightweight and doesn't settle in fine lines. I would definitely recommend to anyone who is looking for something more full coverage. However, the product does have an odd smell, it kind of smells like playdoh/paint, but this isn't an overwhelming smell and doesn't distract from how amazing this product is. I have Combination to dry skin. It works well for me. But I have to hydrate my skin with a creme and after that creme apply the foundation with your fingers. The result is more natural than with a brush. On blemishes use the foundation as a concealer. In Summer I mixed the same lighter foundation with the becca bronzer and it fits perfect. I have many products of Becca, some of them are perfect, I hoped when buying that this time I purchase also a perfect one. But it doesn't surprise me much. It is the ordinary foundation. I think it is better to put it on one layer of moisture or creme with SPF, something that could help this foundation melt and lay well on the skin. I have combination skin with an oily t-zone and I love this foundation. Doesn't cake even after I layer powder on top and blends very well. This foundation isn’t very nice. It doesn’t blend and doesn’t last very long. It goes very patchy after applying and hasn’t got very good coverage. I bought this foundation and was very excited to use it and finally have a foundation for my extremely oily and acne prone skin. The foundation was way too thick and very hard to blend. Looked horrible on my skin, did not set what so ever. I looked like a grease ball in just a few hours. It felt very uncomfortable on my skin... Do not waste your money on this. Ew. Also I got the wrong shade. Oh and it had horrible flashback. I really wanted to like this foundation but it's so thick and uncomfortable to wear. It emphasized every line I have. I don't consider it to be that full of a coverage, I still have to use concealer on top of some blemishes which is really strange because it looks so heavy on the skin. I tried everything to make it work, all kinds of primers and techniques, and it just gets more patchy than it already is. Also my boyfriend just told me that my face looks like it's about to peel off. Really regret buying this. I got it in the shade Shell and I have combination skin. This is literally the best full coverage foundation ever! I love this foundation so much I have re purchase it twice! Amazing coverage and gives a flawless look to the skin! A great night time foundation! I am working with brides and all what I expected from this product is full coverage but it has got too much thick and it takes really an attempt to blend it onto the skin. The Colour Shell is very light yellow. I expected it more beige natural. Probably I should have ordered better in Cashmere Colour . This foundation is the only foundation that doesn't rub off while wearing glasses (even without powdering, it stays on) or cake up due to sweating. I had to take a star off because it promised a radiant, glowing finish and I found it to be a (natural) matte finish. Not for dry-skinned folks. This foundation is very pigmented. I'm happy to find a light colour (porcelain ) that works. It does need blending and some work, it's true. I've used it with the glow stuff (sorry not the correct name) cream and blended with a massive blender brush.it makes my white skin look even and also lasts more than 10 hours. I have dry skin and any dryer, no, but it works for me and I'm very happy with this. I know that "Full coverage" is in the name, but it's just a tad too much coverage for me. I actually use it together with a tinted moisturizer to lighten the coverage (on a 3 to 1 TM to UCCC ratio, which still gives a lot of coverage). That works fine for me. The finish is very matte, almost powdery. I have combination skin and this is great for the oily parts, but less great for dry skin. The great thing about it is that it blends nicely and stays put all day. I love Becca products. I was using the Aqua Luminous foundation, which is lovely, but my combination skin found it a bit too oily. I decided to take advantage of the free shipping and try the Ultimate coverage foundation. I was worried it would be too heavy, but its not at all. Feels very light on the skin, in fact I don't feel like I am wearing any foundation at all! Coverage is perfect, its very easy to use. I am also dehydrated and this doesn't make it worse, in fact I think it helps. Stops any shine, but still manages to add glow. How do Becca products do that?! I am really pleased I ordered it and I am really enjoying using it. I loved the Becca base, texture, super high coverage, loving! I want to thank and congratulate the team Cult beauty by excellent service, thank you! Since they changed the formula of Laura Mercier Silk Creme, my research drew me to this alternative. It's absolutely incredible. Highly pigmented so you end up with a flawless finish. My skin drew compliments the first time I wore this. I suffer with dry patches occasionally and it does not cling. I'm on my second bottle and apply a small pump each morning with a buffer brush. It lasts and looks natural all day, although I sometimes touch up a little around my nose and chin if I'm heading out for the evening. I really like Becca's products. This foundation is highly pigmented and even with a thin layer, provides extremely good coverage. It glides on the skin smoothly and does not dry it up. Unfortunately, I ordered the Sand shade. 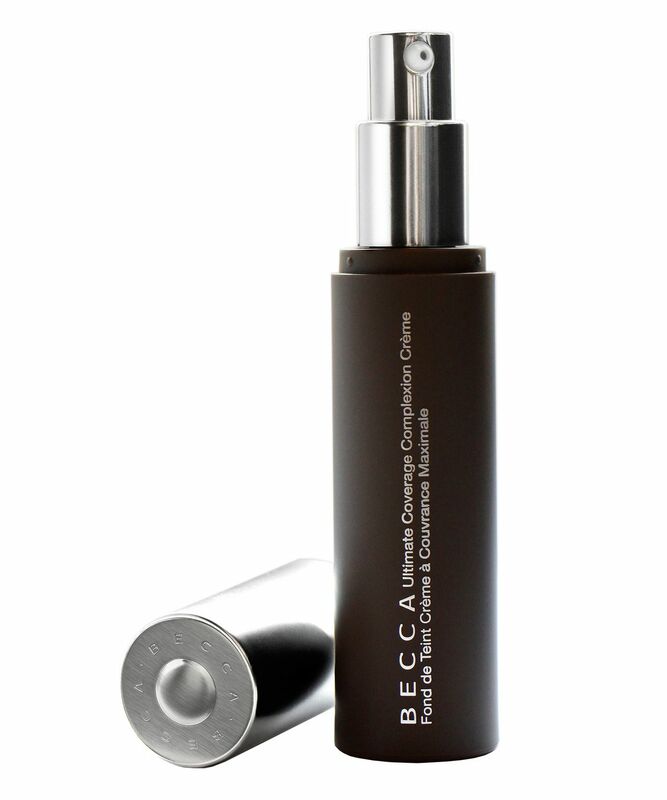 It usually works for me in other brands but turned out to be much lighter than expected with Becca. It is difficult to assess the colors correctly online. However, I am still using it by mixing with my darker foundation :) Also, it can be used as a concealer under the eyes and on the forehead during contouring. I would definitely order again but a slightly darker shade next time. Fantastic foundation - it's full coverage however doesn't look it as it looks so natural ! Since using this, people have been saying how well I look and someone the other day said I looked much younger ! I use it it with the Becca highlighter - with definitely repurchase - lasts all day !